If you would like to enjoy a game of blackjack it is important to understand the game. The tables in the Nigerian casinos await and friendly croupiers are available to assist you. Blackjack, which is a popular casino table game, is one that is the most widely played in the world. It also goes by the name “Twenty One”. This game is one of comparing cards between players and dealers – players do not play against each other. Players are initially dealt 2 cards and a total is reached by adding the value of these cards together. The game continues with players either picking up an additional card or taking a “hit”. Reach a total of 21 on the first 2 cards of the player. Reach a score that is more than that of the dealer, without the total being more than 21. Allow the dealer to draw cards until his or her hand is more than a total of 21. 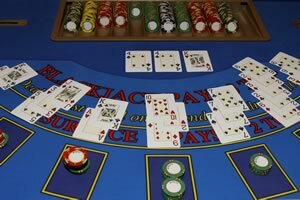 There are a variety of blackjack rules to be considered according to the version of blackjack that you are playing. Nigeria’s finest casinos are located at prestigious and esteemed hotels such as Concorde Hotel, Sheraton Hotel and Bougainvillea Hotel. The best casinos in the country offer a warm and fun atmosphere for you to share in. 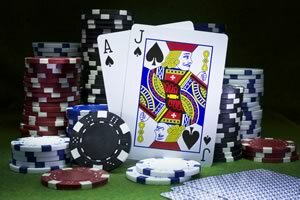 The blackjack tables are bound to offer you the thrill and excitement that you are looking for and the croupiers and dealers working on the casino floor will ensure that all of your gambling endeavors are fair and according to the book. Most blackjack tables in casinos in Nigeria are open for play from 8pm until late, but if you want to spend some time on the slot machines, this section is typically available for play from 12 noon. While spending some time in the casino, enjoy a tasty beverage in the casino bars and check out the delicious buffet which is usually set up each evening. Other table games on offer at the various casinos in Nigeria include baccarat, poker and American roulette. You can also look out for 60 reel, poker and video slot machines available that will cost you between 5 cents and $2. With so much to offer, there is every reason to consider spending an afternoon or evening gambling at a top casino in Nigeria.